Maintaining and improving our Quality of Life today offers many new challenges and opportunities. 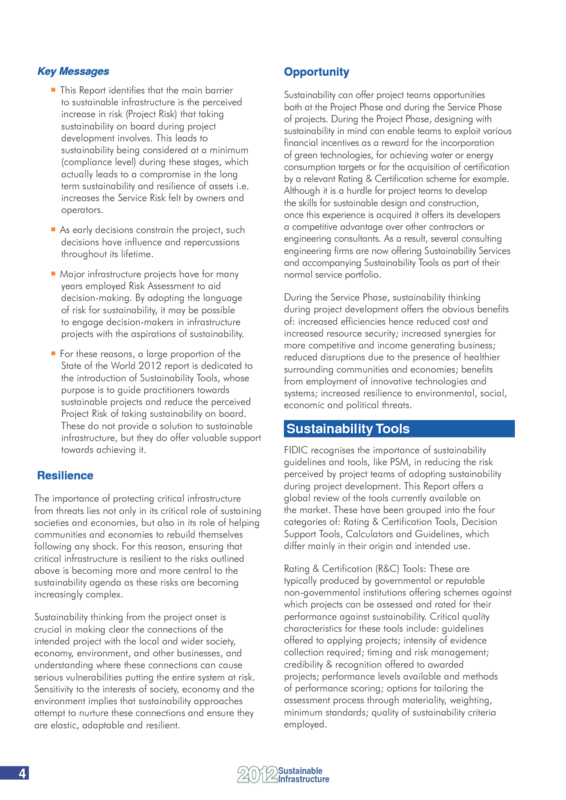 This report sets out to make sense of sustainable development in the context of key infrastructure. 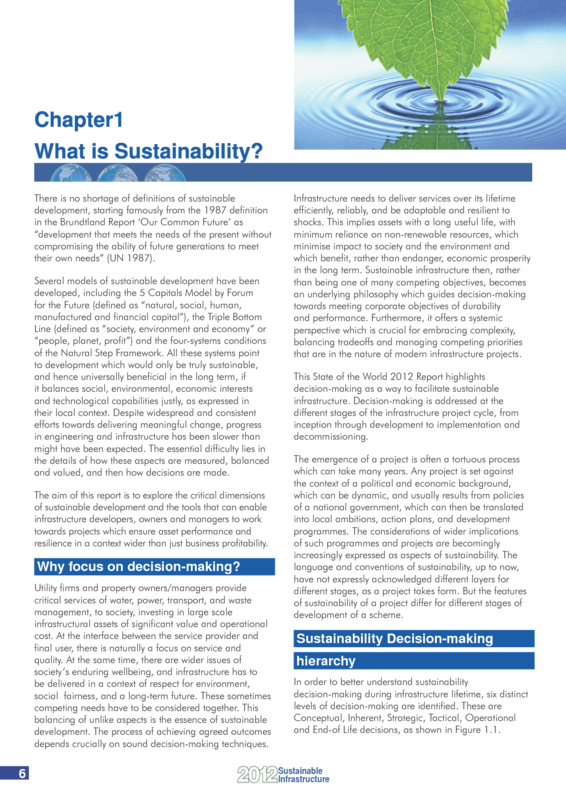 It describes how decisions might be made towards a sustainable future in our societal fabric, of roads, railways, ports and airports, in water and wastewater, and in power generation. In other words, in all that underpins society worldwide. 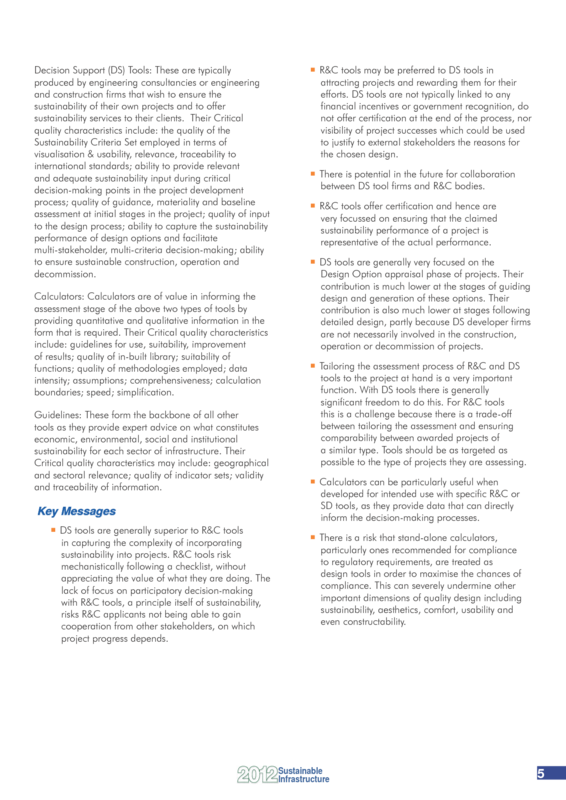 Project Sustainability Management guidelines, 2004. Electronic version in encrypted PDF. 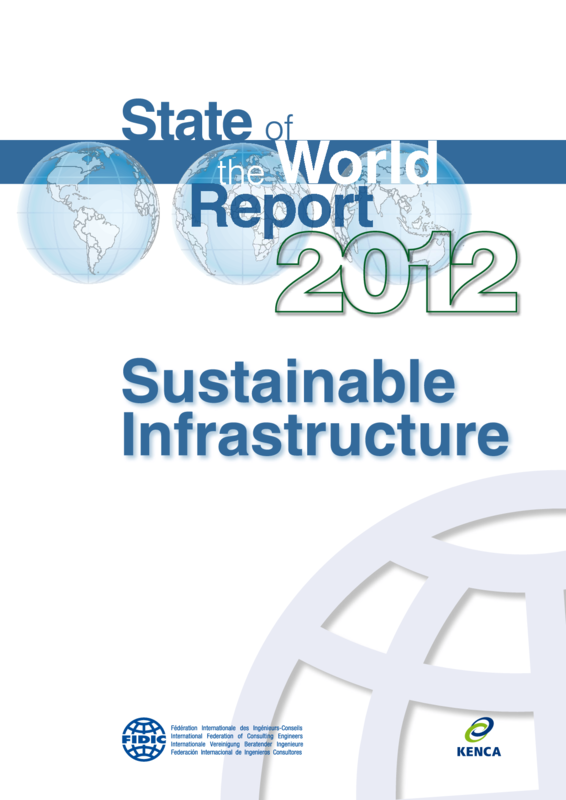 FIDIC State of the World Infrastructure Report 2009 on the status of the world's infrastructure. 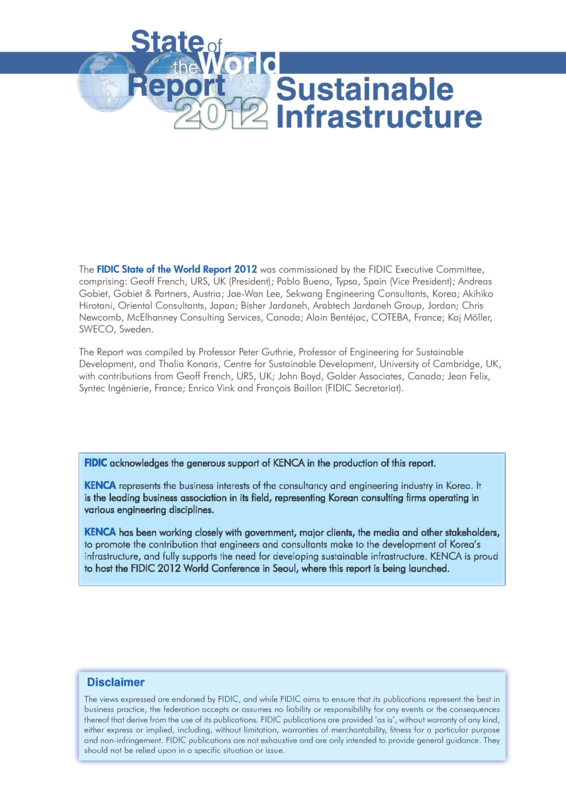 In 2009, the International Federation of Consulting Engineers (FIDIC), released the ‘State of the World: FIDIC Infrastructure Report 2009’, to raise awareness of the increasingly complex challenges being faced by the infrastructure sector today. 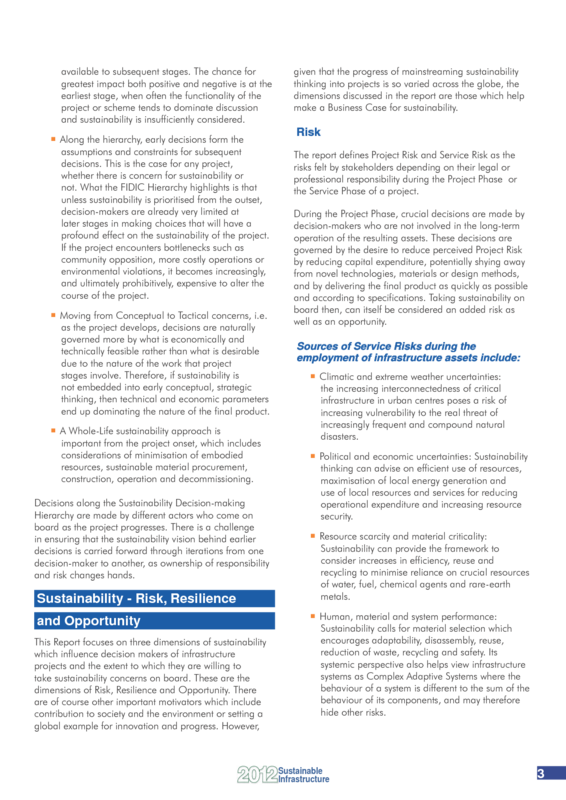 These include economic crises, global urbanisation, non-renewable resource depletion, water scarcity, climate change, waste management and increasingly complex disasters, which threaten the resilience of critical infrastructure and services globally. 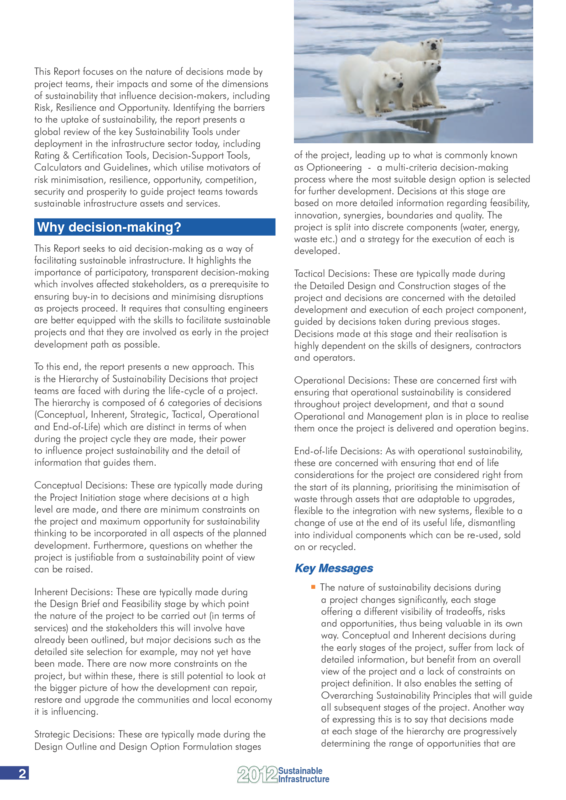 A key message resonating through the report was the leading role that the consulting engineering industry has to play in tackling these challenges. The Report offered constructive examples as to how that can be achieved. 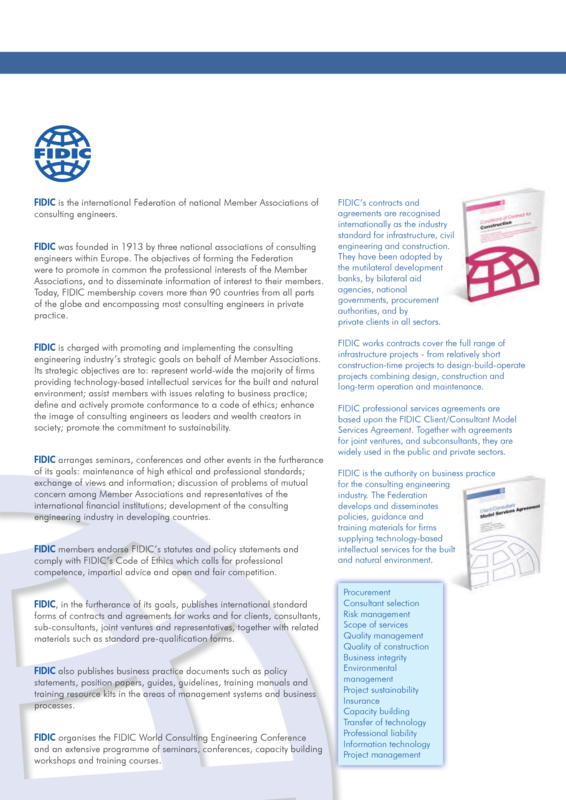 In parallel, through the publication of their Project Sustainability Management Guidelines (PSM) in 2004 FIDIC began the process of making a significant contribution internationally to the global arena of emerging sustainability guidelines and tools for the infrastructure sector. Such tools use internationally recognised sustainability indicators, calculation methodologies and green technologies to guide project teams reliably towards sustainable project design and execution. The 2004 PSM framework proposed a set of core project sustainability issues traceable to the overall sustainability indicators endorsed by the world’s governments as the basis for Agenda 21, an internationally agreed global action plan by the UN for sustainable development. 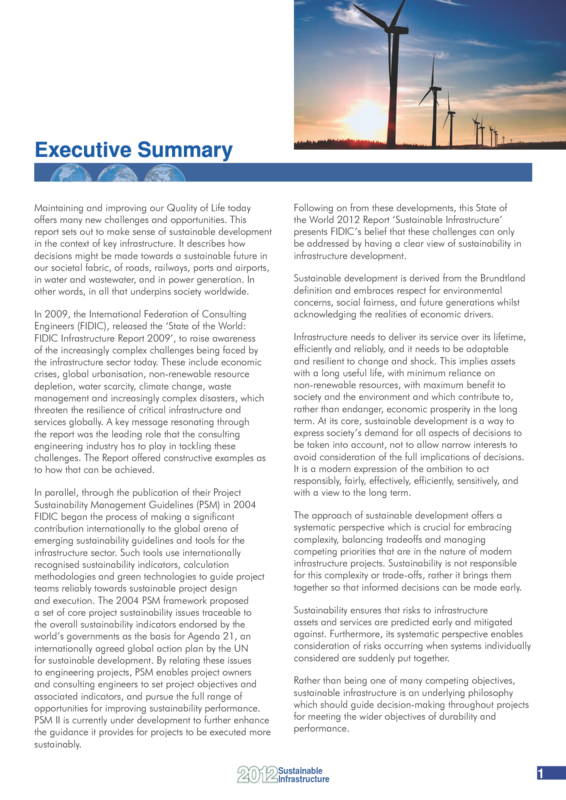 By relating these issues to engineering projects, PSM enables project owners and consulting engineers to set project objectives and associated indicators, and pursue the full range of opportunities for improving sustainability performance. PSM II is currently under development to further enhance the guidance it provides for projects to be executed more sustainably. 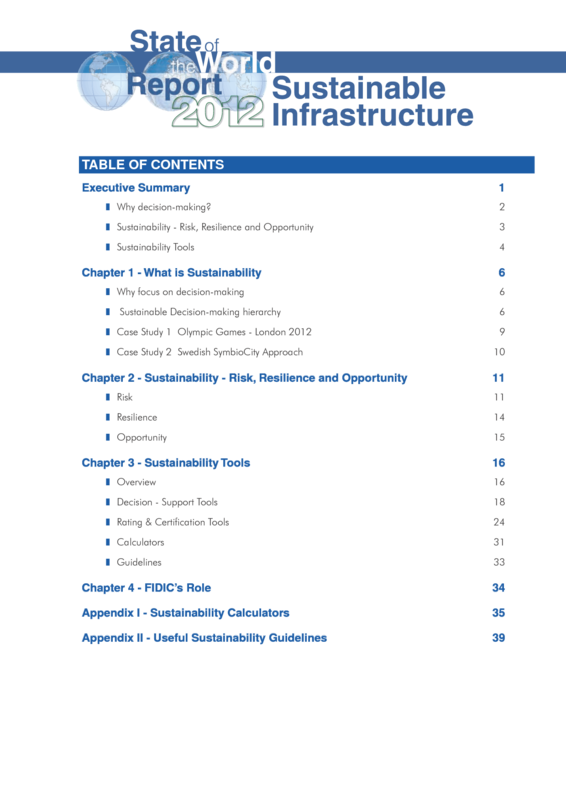 Following on from these developments, this State of the World 2012 Report ‘Sustainable Infrastructure’ presents FIDIC’s belief that these challenges can only be addressed by having a clear view of sustainability in infrastructure development.